Spacious non-smoking single bedrooms with the area of 15m2 are oriented towards the garden. They are equipped with tea and coffee service. They have their own shower, toilet and hair dryer. Spacious non- smoking double bedrooms with the area of 20m2 provide for higher comfort. Standard bedrooms are equipped with older furniture. Comfort is granted by new beds. They have their own shower, toilet and hair dryer. 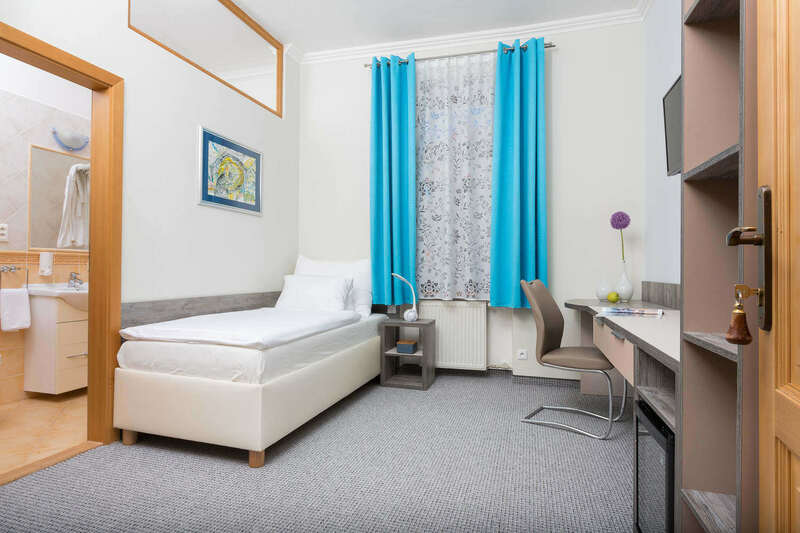 Business non-smoking double bedrooms with the area of 20-25m2 provide for higher comfort, with two separate beds or a double bed. Our most demanding guests or families fith children can enjoy their comfort in a suite with the area of 42m2. 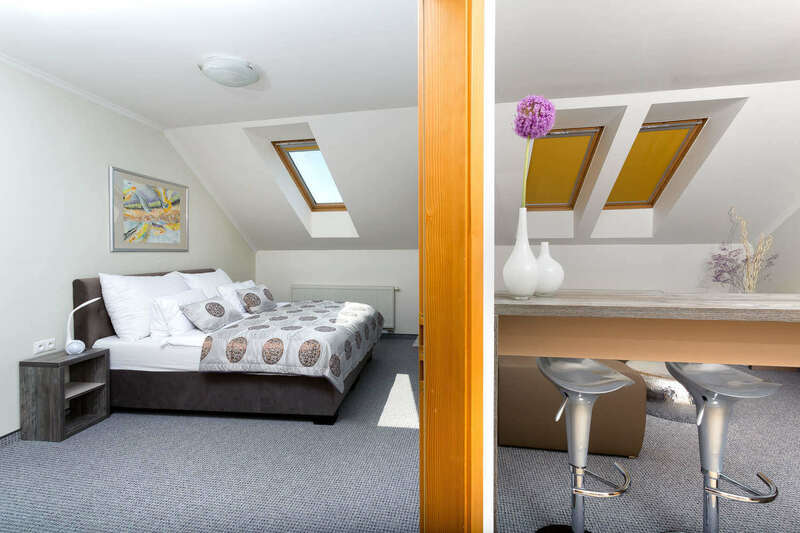 The suite consists of two separate rooms- bedroom with a double bed and a livingroom with a couch and a working corner.